Contemporary romance Against All Rules is free at Amazon only for a few hours more. If you haven’t downloaded, there’s still time remaining. 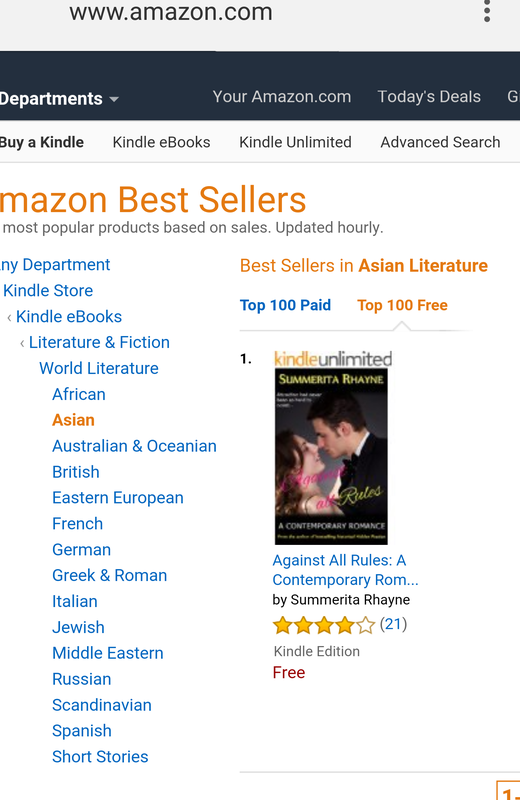 During the promo period of two days, it got to no.1 in World Literature Asian in kindle ebooks and no.7 in Contemporary urban fiction at Amazon.com. At Amazon.in last I saw, it was #46 in contemporary romance.